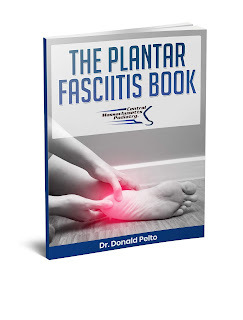 Many of my patients in Worcester, MA come in with foot pain, but then when I start asking them more questions I also find that they have a condition called sciatica. If you do not know what sciatica is, it is a condition where you get pinching of the nerves in your back as they go up your spine into your spinal cord and you tend to have a shooting pain down your leg. If you are lying down on your back and you lift up one leg and you get a shooting pain down the leg that is very common for sciatica. I find that many of my patients when they have sciatica they change the way that they walk. Because of the change in the way that they walk they can develop heel pain from that. So just be on the lookout that if you have heel pain and sciatica the pain might not be from the heel, but it might be from the back and you should probably get the back treated with either an orthopedic surgeon or a chiropractor first.